← You may not know me from Adam, but he’s a friend of a friend of a friend of mine who who works with a friend of your mom. Now that I’m no longer anchoring a newscast, I’d like to recommend those that are worth watching. That is, if you have the time. 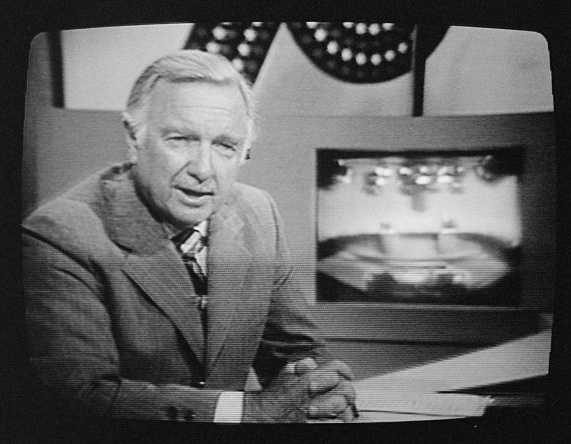 A long time ago Walter Cronkite proposed CBS air an hour-long evening newscast. The most-trusted man in America believed thirty minutes just wasn’t enough time to get it all in. Americans were getting shortchanged. Walter believed Americans would watch an hour newscast. The network didn’t listen to Walter. The broadcast networks still air half-hour newscasts and there still isn’t enough time and too much to cover. But Americans watch hour-long newscasts. If Walter were alive and still working today, he’d probably be anchoring at CNN, PBS, or perhaps Al Jazeera America. And then there’s Al Jazeera America. I know. When you tune in the first time you wait for the anchor to shake his or her fist and shout, “Death to America.” It’s nothing like that. The anchors include John Seigenthaler, formerly of NBC News, and Ray Suarez from PBS, and from what I’ve seen so far, the newscasts and other programming have been fact-based, in-depth, and have shown no bias or favoritism. And unlike Fox or CNBC, Al Jazeera doesn’t blame one U.S. political party for all what’s wrong in America and the world. If you haven’t checked out these newscasts, give them a sample, and tell me what you think. Al Jazeera is great altho I cant watch it at my son in laws house or my brother in laws house. PBS is like warm milk.. I watch it at night to get me to sleep. Its good for me, but zzzzzzzzzzzzzzzz. We should have played the Superbowl last Sunday. The jokes and the avocados were fresher. What do we do? For the first weekend since September we have to go without football cold turkey. And no, the Pro Bowl doesn’t count.